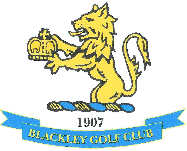 Thanks for your interest in a membership at Blackley Golf Club, please complete the following details and our staff will be in contact to arrange payment and provide you with full joining information. Depending on the category of membership you are requesting you may be required to attend a short membership interview. In exceptional circumstances BGC reserve the right to deny membership.